The roughly 150-year-old building at 235 Water St. could be demolished by its owner, who said he intends either to give the building to the city or to demolish it at an estimated cost of $60,000 to $70,000. 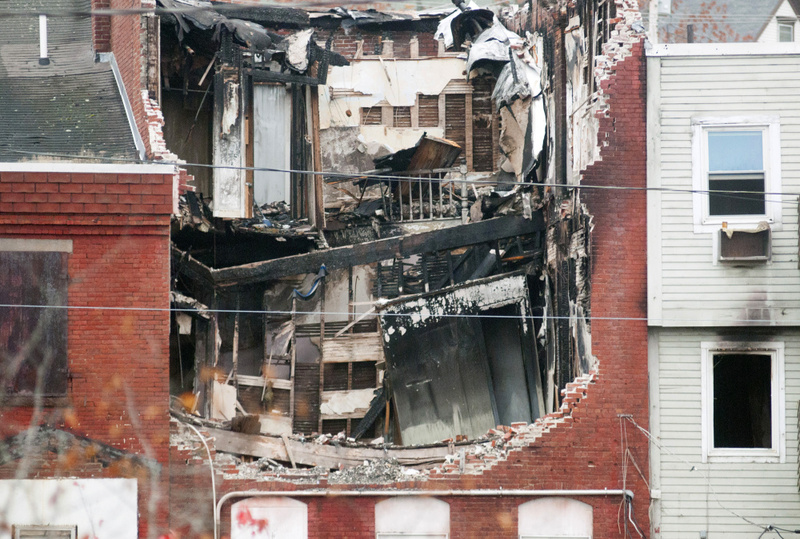 GARDINER — Unless a relatively deep-pocketed developer comes forward soon, the building most heavily damaged in the massive July fire in downtown Gardiner could be demolished by winter. Before it can be demolished, however, the owner of the roughly 150-year-old building at 235 Water St. has to show the city what he’ll do to make sure the building, which shares walls with neighboring structures, is the only one to come down. 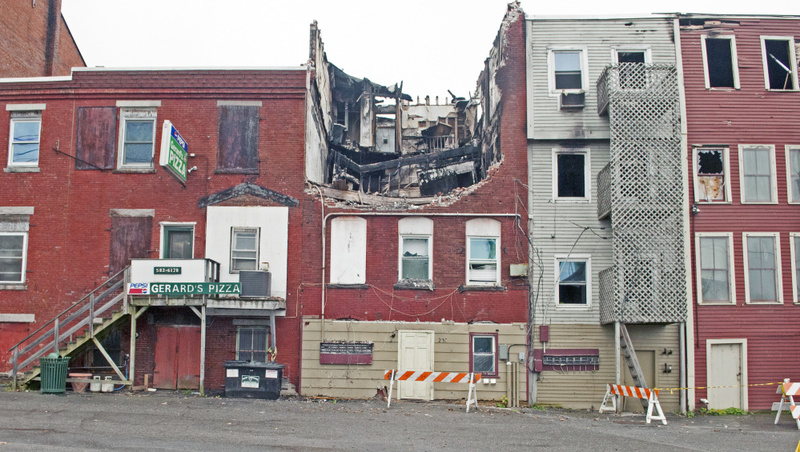 Something has to be done to make the charred remnants of the building safe before it becomes burdened with the extra weight of snowfall this winter, according to an assessment of the building’s structure by Resurgence Engineering and Preservation, of Portland. The firm warns, in its Oct. 19 report to Gardiner Main Street, it is concerned about the cornice at the top of the Water Street facade of the building, recommending the sidewalk below be covered and the cornice and rest of the facade stabilized “so that loose or missing cantilevered structural elements do not fall to the sidewalk below” during cleanup and stabilization efforts. However, the building may end up being demolished, not stabilized. Owner Wayne Chamberland, now a Connecticut resident but previously of Pittston, has submitted an application to the city for permission to demolish it. He also has offered to give it to the city, but city officials have been reluctant to commit to taking it in part because of a lack of money to redevelop it. Morelli said the city wants to work with the building owner to make sure that if it is demolished, that won’t harm the buildings next to it. The city’s Historic Preservation Commission has delayed a decision on Chamberland’s request for a permit to demolish the building, and it has requested a report from him indicating whether the demolition of that building would affect the adjoining structures. The commission meets next in November. Morelli said Chamberland has until sometime next week to provide that information in time for the November meeting. 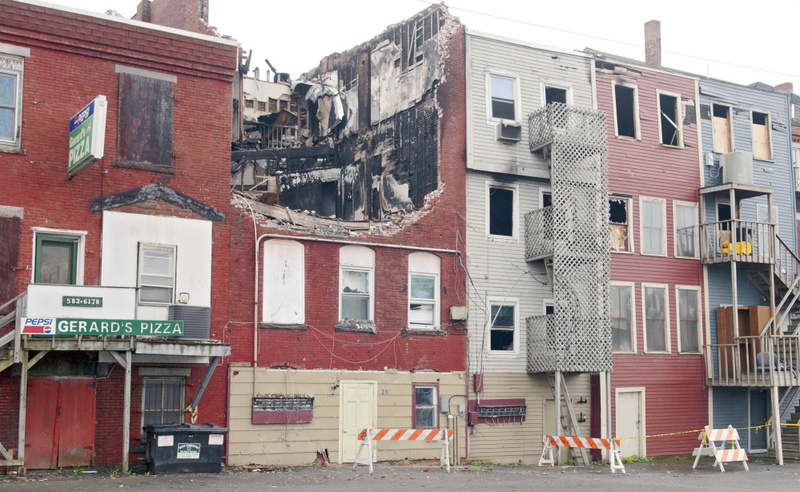 The concern is that the walls left behind after the demolition, at least on one side, were built as interior walls, because the building is attached to adjacent Water Street buildings. The Resurgence report says structural steel or wood framing and new exterior-grade walls could be built to shore up and stabilize both 235 Water St. and the adjoining buildings. 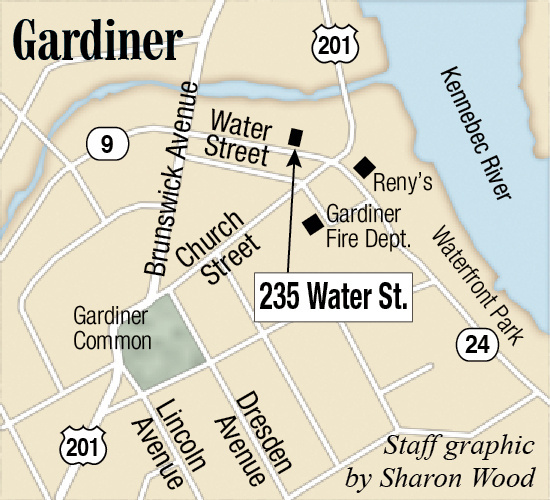 Patrick Wright, director of Gardiner Main Street and economic development coordinator for the city, said it could cost roughly $50,000 to stabilize 235 Water St. to preserve it, at least through winter, for potential future development. Chamberland, however, said he intends either to give the building to the city or to demolish it, at an estimated cost of $60,000 to $70,000, rather than stabilize it. He said he’s not in a financial position to redevelop the building, which, the Resurgence report estimated, could cost $1.6 million. He said it doesn’t appear the city has the money to take the building, so he wants to move ahead with plans to demolish it. Wright said there has been some interest in the building, but no developers have come forward to make the more immediate investment required to stabilize the structure before winter. So far, Wright said, he hasn’t succeeded. Morelli noted the Resurgence report indicates something needs to happen there before winter, to avoid the potential for danger. 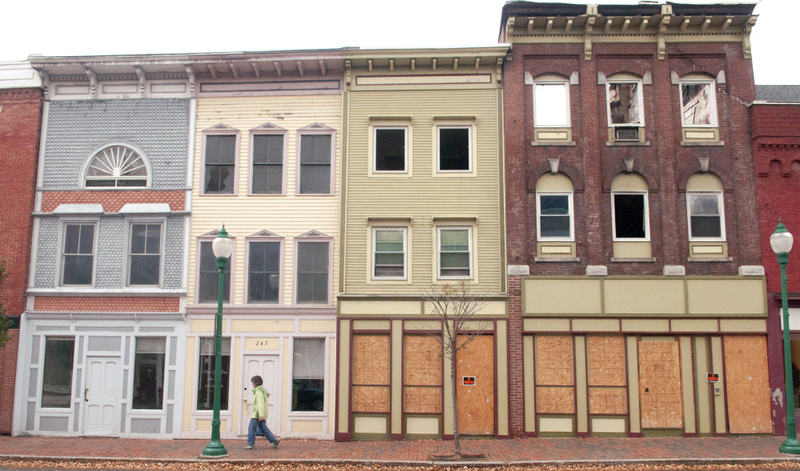 Wright said state and federal historic preservation tax credits could be obtained by a developer to save 235 Water St. or the buildings next to it that sustained damage in the July 16 fire. Those tax credits could be used to save a developer up to 45 percent of the overall construction costs of redeveloping historic buildings. He said while it would be expensive to stabilize 235 Water St. first and redevelop it later, he believes that by using historic preservation tax credits, it could be feasible for a developer to convert the building into high-end apartments. Wright said the other buildings damaged by the massive fire sustained extensive water and smoke damage but minimal structural damage. He said the owners of the corporation that owns the buildings have indicated they aren’t in a position to invest more money in those buildings but would be willing to sell the buildings “for a very reasonable price” to someone who is. 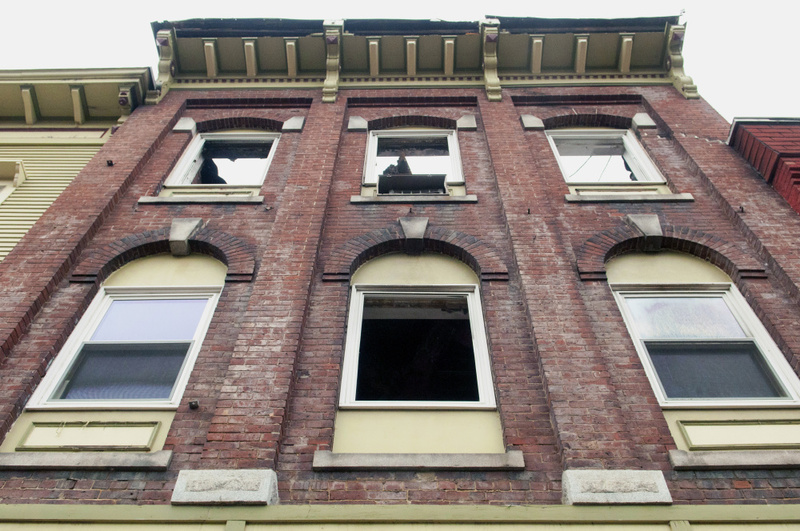 The upper two floors of 235 Water St. were ravaged by fire, leaving, primarily, only the front Water Street facade remaining. 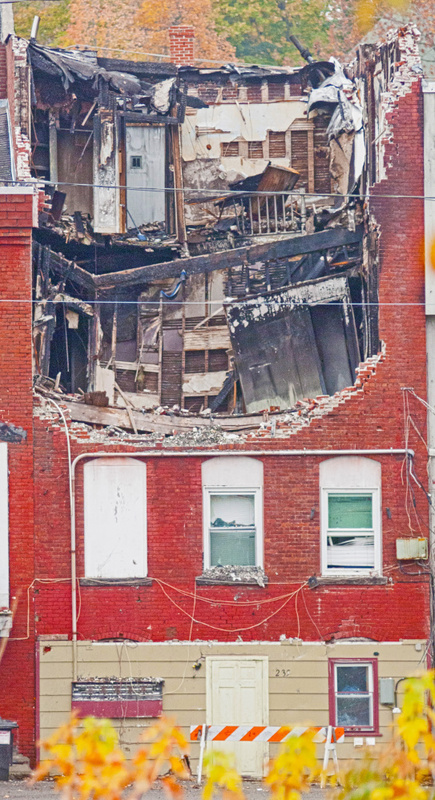 The rear uppermost wall collapsed, and, seen from the Arcade Parking Lot side of the building, a remaining beam between the second floor and what’s left of the third floor appears bowed and heavily damaged. The fire began in one of its 12 apartment units and spread to an adjacent building. Three firefighters suffered minor injuries while fighting the fire and one resident was treated for smoke inhalation. State investigators were not able to determine a cause because of the extent of the damage. The Resurgence report was funded by $1,000 from a $23,000 fund raised to help support fire victims. City councilors, at their Wednesday meeting, met in a closed-door session about 235 Water St. Morelli said they took no action, but they heard an update on the property and discussed the Resurgence report’s findings.